Horizon Zero Dawn’s Executive Producer Mark Norris had an interesting chat with the Latin American version of IGN. Among various topics, the Guerrilla Games developer spoke about the increasingly hot debate surrounding the rareness of female main characters in video games. Horizon Zero Dawn’s Aloy was never in question, apparently. Interestingly, in the consciousness of video games there has been the subject of the female main character since a year, a year and a half ago. When we put the concept of Horizon in 2011, when we began to think of ideas, there were three things that did not change on Horizon: Aloy as our main character, these fantastic machines and this juxtaposition of post-post-apocalyptic world. So she was never in question. In fact, it is frustrating that being the 2015 still has to validate an option on a female main character and then people use it to ask how they decided that option? For us, it never was, never asked if we should choose a man or a woman, it was always Aloy. From the moment we think of the game, from the beginning we had these three elements and there was always Aloy. She’s fantastic, I think she has a great story and we are excited about it. Truth to be told, there’s an increasing number of games using female main characters now. Other than Tomb Raider, Mirrors’ Edge and Life is Strange also stand out; others, like Assassin’s Creed Syndicate last year and Dishonored 2 this year, either give you the option to choose (the latter) or allow you to play both a female and a male character (the former). Aloy, the main character of the game (which made it into the list of our Most Anticipated 2016 RPGs), is already enough popular to have compelled Guerrilla Games to publish a cosplay guide many months before the release. 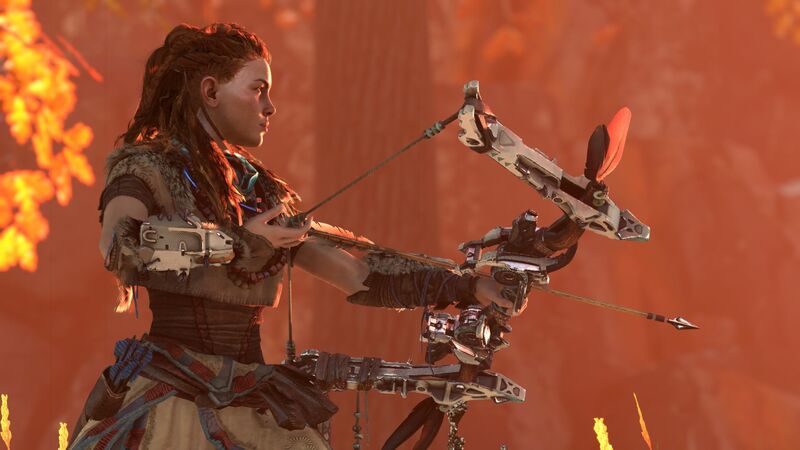 A skilled hunter, she will have to do everything in her power to protect her tribe in the harsh world of Horizon Zero Dawn, a PlayStation 4 exclusive set for release some time in 2016. Stay tuned for our ongoing coverage of Guerrilla Games’ new IP.